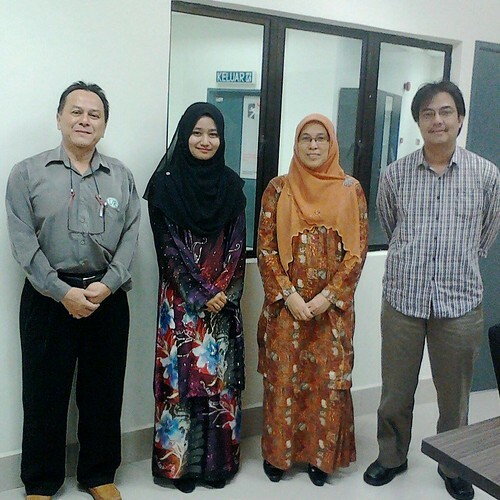 Congratulations to Nur Nadira Sulaiman on passing viva-voce for his MSc thesis on 18 November 2014. External and internal examiners are Prof. Dr. Didik Prasetyoko and Prof. Dr. Wan Azelee Wan Abu Bakar, respectively. The chairman of this viva-voce is Prof. Dr. Wan Aini Wan Ibrahim.